Dancing at the crossroads used to be young people's opportunity to meet and enjoy themselves on mild summer evenings in the countryside in Ireland until this practice was banned by law, the Public Dance Halls Act in 1935. 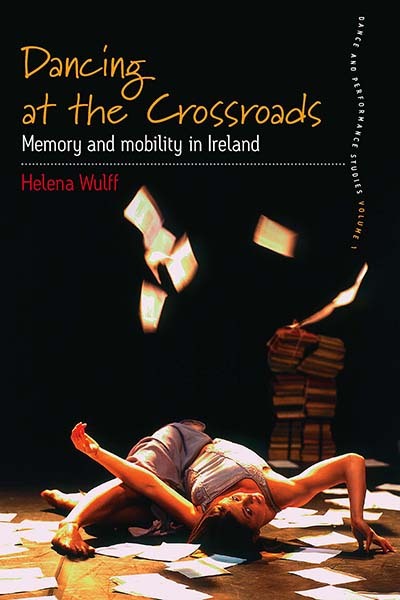 Now a key metaphor in Irish cultural and political life, "dancing at the crossroads" also crystallizes the argument of this book: Irish dance, from Riverdance (the commercial show) and competitive dancing to dance theatre, conveys that Ireland is to be found in a crossroads situation with a firm base in a distinctly Irish tradition which is also becoming a prominent part of European modernity. Helena Wulff is Professor of Social Anthropology at Stockholm University. Her research focusses on expressive cultural forms in a transnational perspective. Studies on the transnational world of dance and social memory have generated questions in relation to place, mobility and emotions, as well as to visual culture and writing. Among her publications are The Emotions: A Cultural Reader (editor, 2007, Berg), Ballet Across Borders: Career and Culture in the World of Dancers (Berg, 1998, reprinted 2001), and Youth Cultures: A Cross-Cultural Perspective (edited with Vered Amit-Talai, 1995, Routledge).